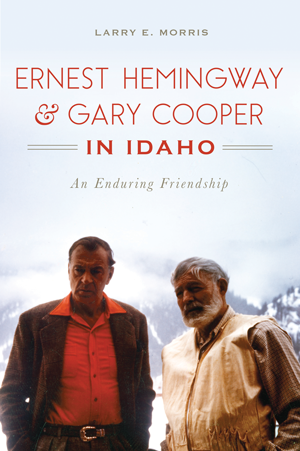 In the autumn of 1940, two icons of American culture met in Sun Valley, Idaho—writer Ernest Hemingway and actor Gary Cooper. Although "Hem" was known as brash, larger-than-life and hard-drinking and "Coop" as courteous, non-confrontational and taciturn, the two became good friends. And though they would see each other over the years in Hollywood, Cuba, New York and Paris, it was to Idaho they always returned. Here they hunted together, waded through marshes and hiked sagebrush-covered hills, sometimes talking and sometimes not but continually forging a close comradeship. That bond sustained them through the highs and lows of stardom, through personal trials and triumphs and from their first conversation to their deaths seven weeks apart in 1961. Author Larry Morris celebrates the story of that unforgettable friendship. Historian Larry E. Morris received a master's degree in American literature from BYU. He authored The Fate of the Corps: What Became of the Lewis and Clark Explorers After the Expedition, named a Top Academic Title by Choice, and coauthored (with Ronald M. Anglin) The Mystery of John Colter: The Man Who Discovered Yellowstone. He has published several other books and has written articles for such periodicals as the Missouri Historical Review, We Proceeded On and American History.